The good old fashioned paper Valentine cards are a thing of the past. These Valentines are a card, necklace, pencil, and box of candy all in one! Lunacy, you say? Yes, 100%. 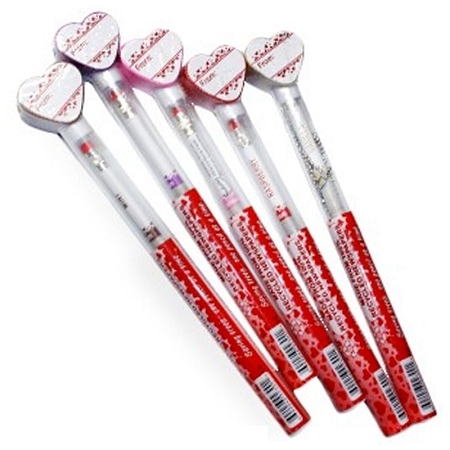 Open the Valentine tube to reveal a scented pencil that would make Cupid give up his day job. 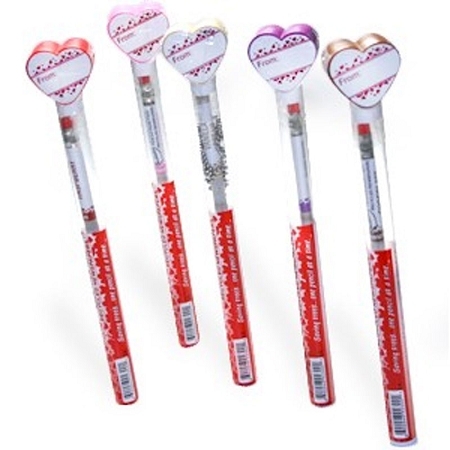 You'll also find a chain in the tube that connects to the top heart pendant and becomes a Valentine necklace! 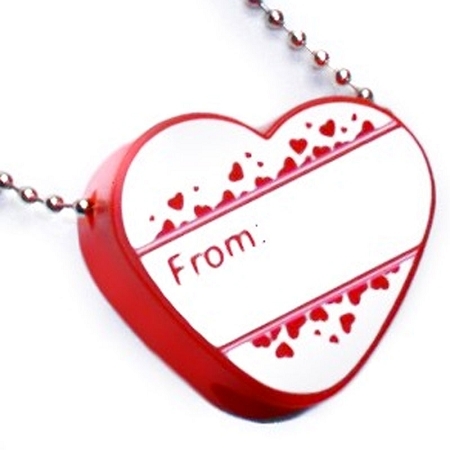 You can write "to" and "from" on the heart and perhaps a little note if you're a handwriting Mcgyver. Feature: - Choose from 5 different flavors. One Pencil per package. 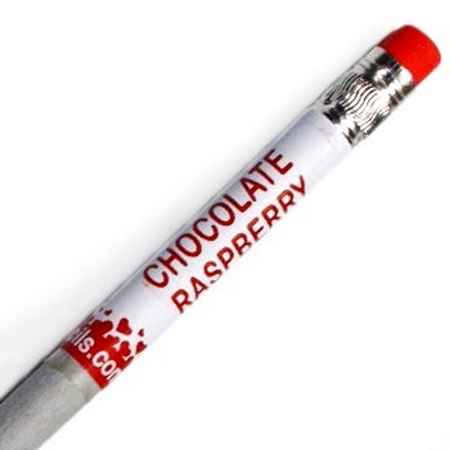 Feature: - Pencils are made from 100% recycled newspaper and scented with deliciously potent fragrance.